At Zeiler Chiropractic we recognize that your choice of physician is driven both by the doctor's competency and personality. With chiropractic problems, you need a chiropractor who is experienced, understanding and supportive. You get this caring attitude from all the staff at Zeiler Chiropractic every day. Our staff works together as a team to be sure we are responsive to your needs and keep you informed about your health issues. We look forward to getting to know you. Dr. Zeiler was born and raised in upstate New York with his parents and five siblings. He attended Messiah College near Harrisburg, Pennsylvania where he met his wife, Natalie, whom he married in December of 1993. After college, Dr. Zeiler attended New York Chiropractic College which is widely considered to be one of the finest chiropractic schools in the nation. He graduated at the top of his class in 1994. 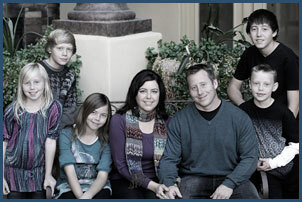 In 1996 Dr. Zeiler and his wife moved to the beautiful state of Arizona. After several years of running chiropractic clinics in PA and AZ, he started Zeiler Chiropractic in Glendale in 1999. With the success and large number of satisfied patients that this clinic brought, he decided to expand to meet the needs of others in the valley. 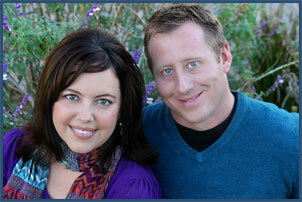 He opened a second clinic in Surprise called Dakota Chiropractic which he named after his second son. Both clinics offer the highest level of chiropractic care and physiotherapy, with his number one goal being to satisfy his patients completely with the best care possible. His warm and caring staff is highly-trained and much-loved. His office manager, Janette, has been with him since 1996 -- even before he opened his first private office. Dr. Zeiler and his wife, Natalie, have five children with a sixth on the way. He enjoys spending time with his family, sports, exercising, weightlifting, playing guitar, and the outdoors. We greatly look forward to meeting you!